We’ve talked in the past about emerging opportunities for advertisers in streaming digital audio. 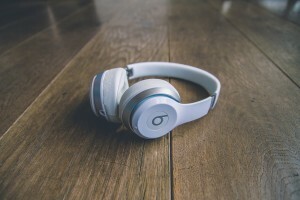 Now, a few recently released studies show that digital audio is a great way for marketers to reach potential customers. Online audio is consumed across age demographics, with approximately 74 percent of adults aged 25-54 listening monthly. Marketers say they intend to increase their spend in this category by as much as 35 percent. So, should you jump on the digital audio bandwagon? With audiences continuing to grow, now would seem like an ideal time to consider allocating part of your media budget to digital audio. One of the interesting things about this emerging medium is that there are a lot of areas where you can invest. Digital audio encompasses a wide variety of content, which is partly what makes it so popular. This includes pure music streaming from radio stations, but also other sources, as well as podcasts on nearly every single topic—news, science, history, comedy, fiction, etc. Some podcasts are akin to a radio talk show, while others include in-depth news reporting, and yet others include storytelling. What’s the best way to dive in? Like most advertising, it’s essential to know your audience well before committing any ad dollars. And if you need help determining how to allocate your budget, we can help. Contact us to discuss opportunities you might be missing with digital audio. ← Linear Television Isn’t Dead, It’s Evolving.